Winter up here in the back of the beyond is, in a word, harsh. In two words, long and harsh and not for everyone. But there is a reason we hardy souls choose to live here. We too, seek quietude and a chance to re-fill the Well of our being. The hustle and hurried pace of Summer can be both exhilarating and draining. Picnics, parties, visiting, traveling, entertaining, boating and swimming, are all good but by summer’s end, we’re looking for some peaceful alone time. Fall brings the Harvest and we’re busy putting up the bounty from our garden and turning Apples, Pears and Plums into pies, jams and preserves. 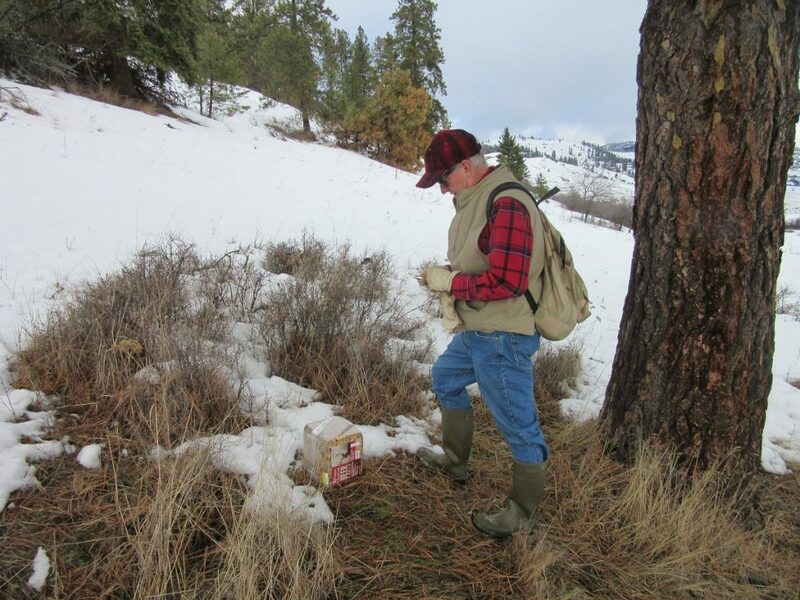 Then it’s the hunt when both men and women Camo up and hope for Deer or Elk to fill their freezers for hot meals on cold days. Success means days of sausage making and mouths water as Bratwurst, Italian sausage, Breakfast sausage and more are made by good friends sharing camaraderie and a tall tale or two. Extra hands make cutting and stacking fire wood a manageable chore. And a necessary one too. Many folks up here use wood as their only source of heat. And those who don’t still have a wood stove not just for ambiance but if the power goes out, neither they nor their plumbing will freeze. And then slowly, as days grow shorter and the air no longer holds warmth, we start the retreat into our homes, earlier and earlier, week by week. Windows are closed. Blankets added to beds. Lamps are lit and books are carefully placed by our favorite chair. One day as we glance out the window, we see the first snow flakes fall, and we smile. 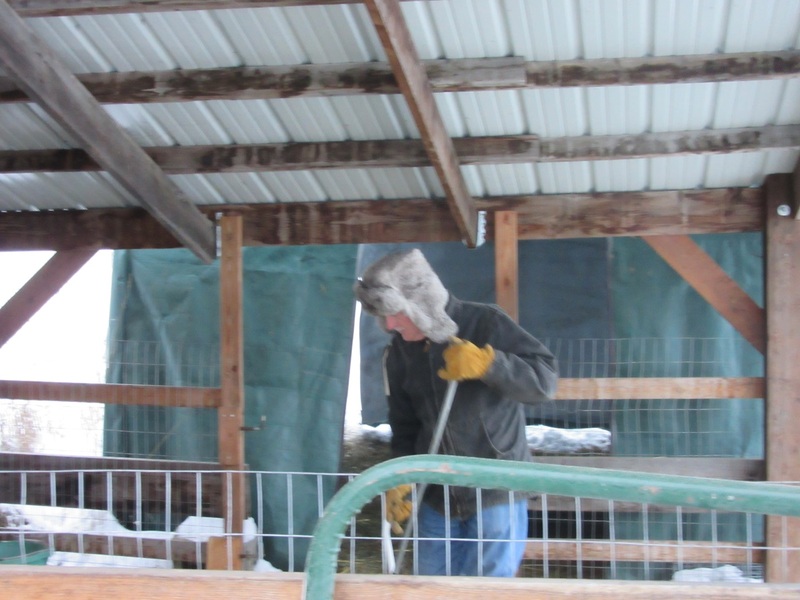 It’s winter in Ferry County. We’re not reclusive. Oh no, not at all! 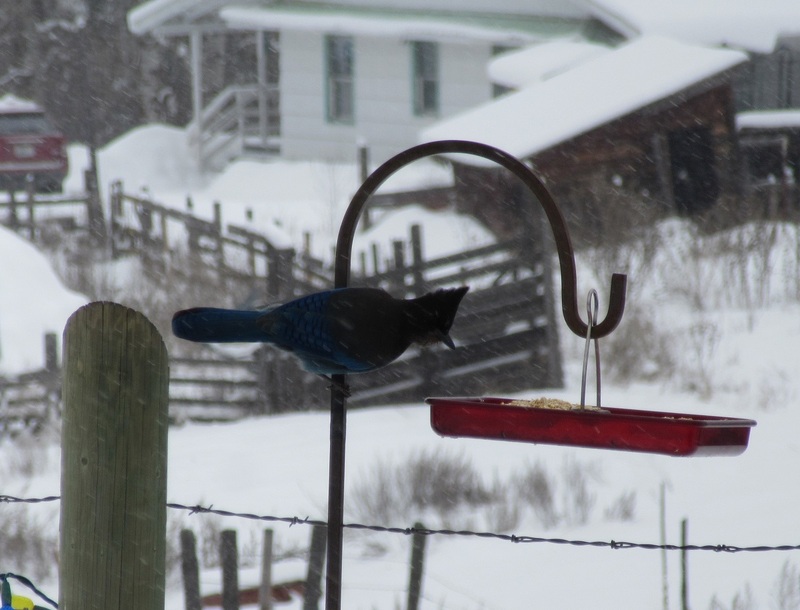 We venture out on a regular basis to enjoy what winter has brought. 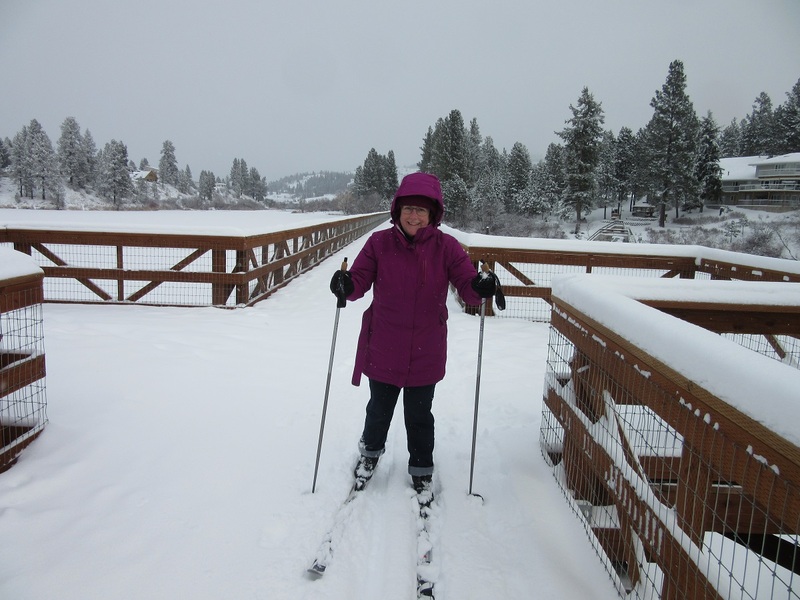 From our back door, we can hike, snow shoe, x-country ski and even ice skate on the lake. When those of us who are year round residents pass each other silently on a wooded trail, we nod and give each other a knowing look. We chose this life. We embrace the quiet time. We’re not summer visitors here for vacations in these glorious mountains, though we welcome them with open arms. No. This is the life we chose. All four seasons and Winter is just as special as all the others. Alpaca poop happens and it’s a daily struggle to clean up especially when it freezes before hitting the ground. To feed or not to feed is NOT a question. 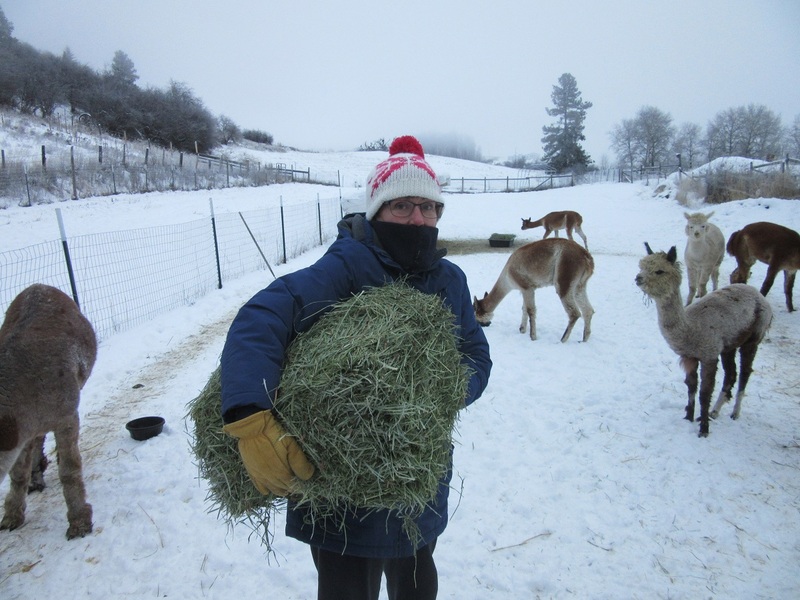 -20 or 105 degrees, caring for the Alpacas is a given! Fresh air and exercise! 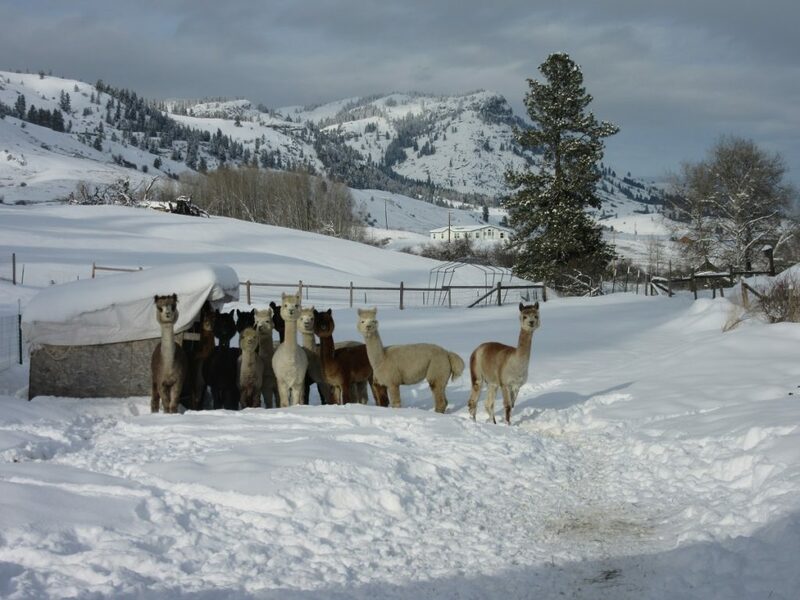 In winter, we rarely see others on the trail. Such a shame…..well maybe not. We love the quiet intimacy. New fallen snow covers a multitude of sins. Didn’t mow? Didn’t rake? Didn’t burn? No problem. It’s all undercover! Digging out! Extra help is always welcome. Right Gracie and Otto? 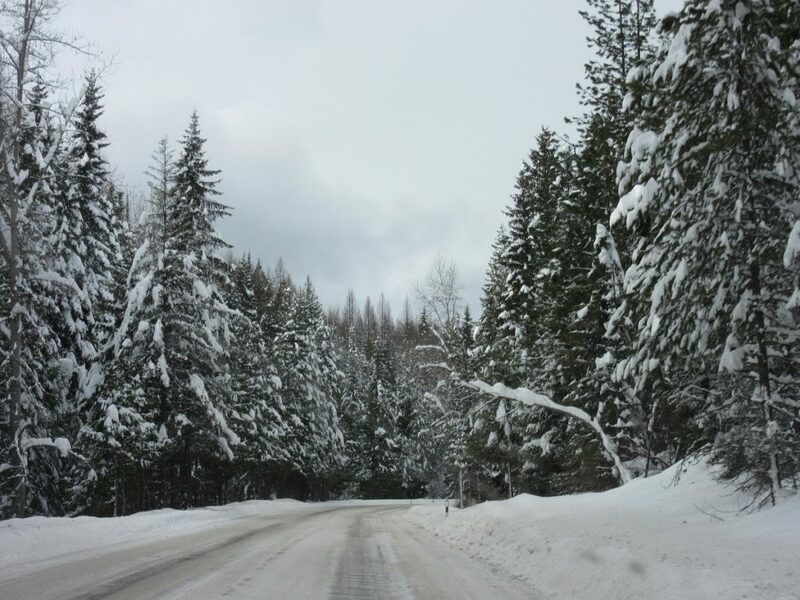 Heading over Sherman Pass in winter is both stunning in scenery and somewhat scary too! Isolated and no cell service for us. 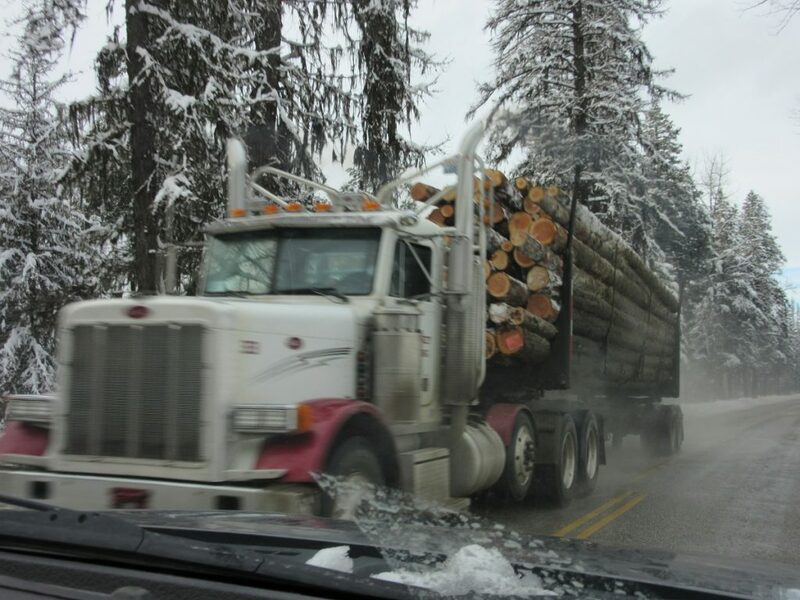 40-50 Logging trucks a day right now. All heading over THE Pass. Crazy time of year or them. They have to haul logs before the road restrictions take place and man, do they ever haul! 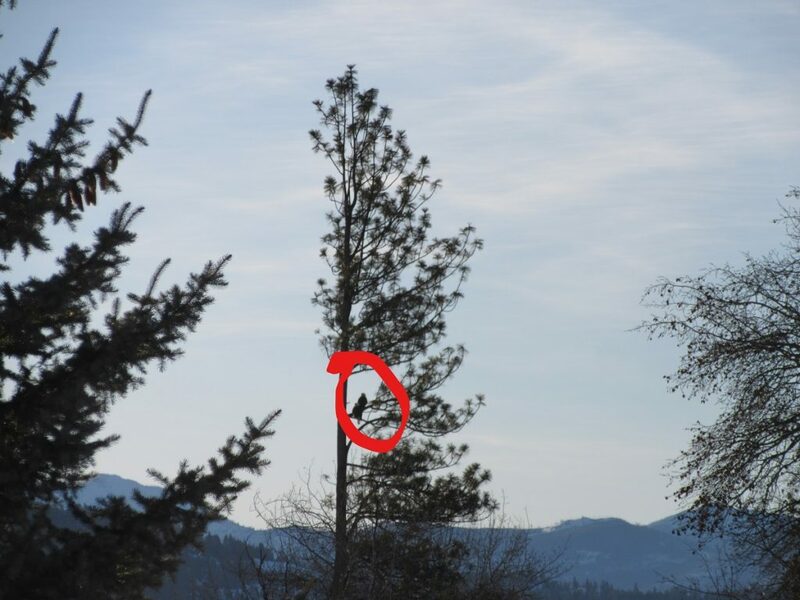 These 2 Bald Eagles were sitting in a tree just the other side of our dirt road. Dan heard them before he saw them. Eagles are frequent sightings here and that is a Blessing! 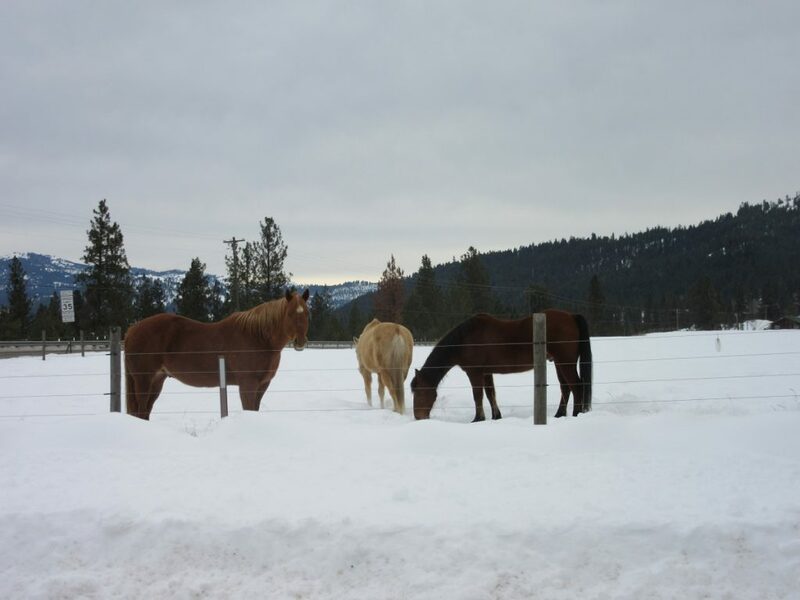 The horses juxtaposed against the snow. One of my favorite winter scenes. I could watch them for hours. 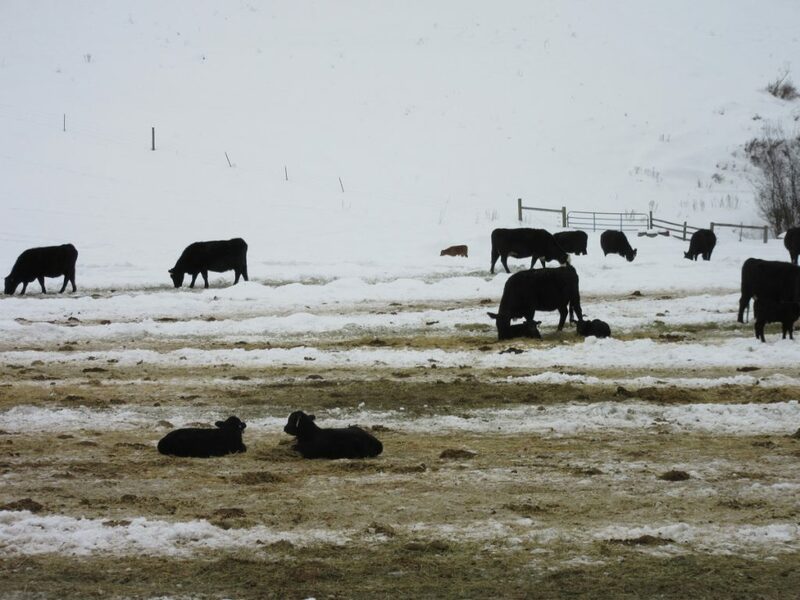 It’s winter but believe it or not, it is calving season here in cattle country! Our cattle ranches are crazy busy right now as you can see. So precious to see these newborns on the ground and Mama hovering close by. 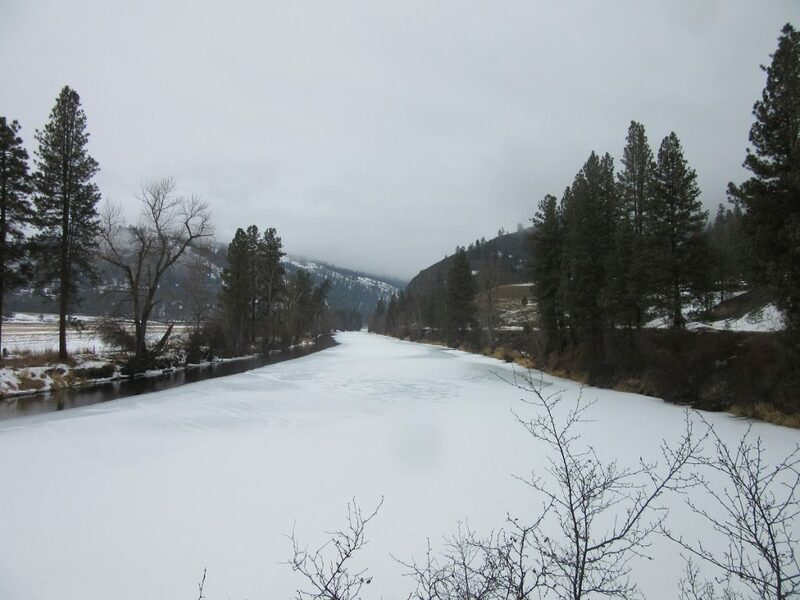 The Kettle River will soon be a raging torrent. But for now, we enjoy her ice capped frozen beauty. Yesterday we hauled a deer block and corn up hill. Feeding deer is legal here and we watch them every day out searching for food. 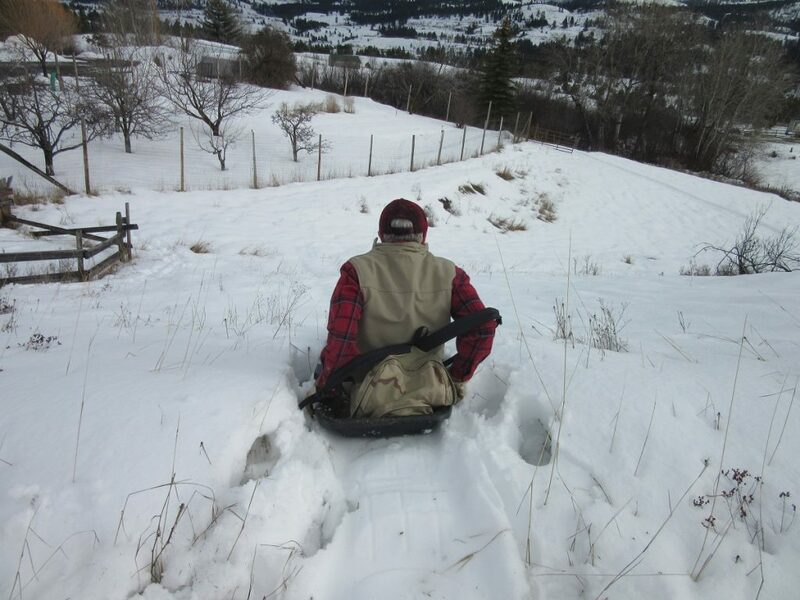 I broke trail using snow shoes and Sparking carried corn in his back pack. It’s hard knowing how hungry the animals are this time of year. No jacket? Nope. Breaking trail is very warming!! 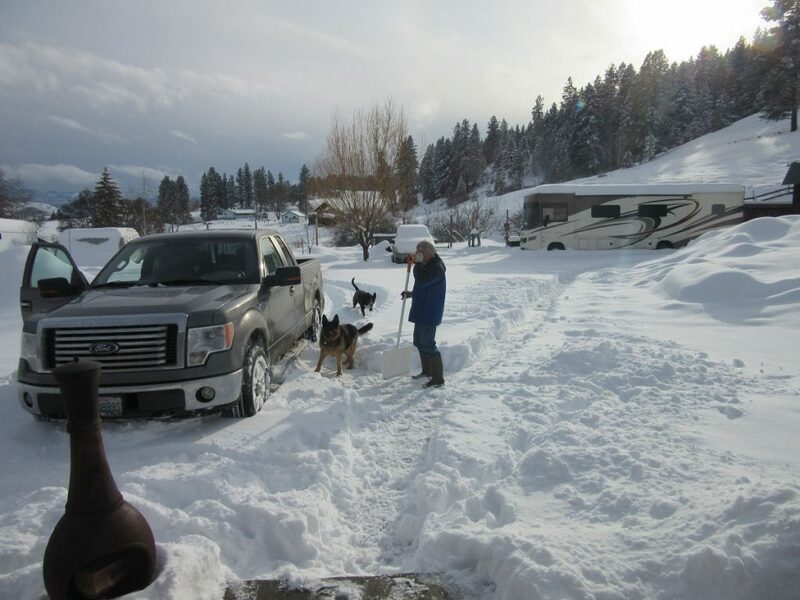 This my friends, is winter in Ferry County! Thanks so much for stopping by today. Wherever your journey leads you today, I wish you eyes to see the beauty in every season! « The Journey to Jamaica- It’s all good mon! Your girls are so adorable. 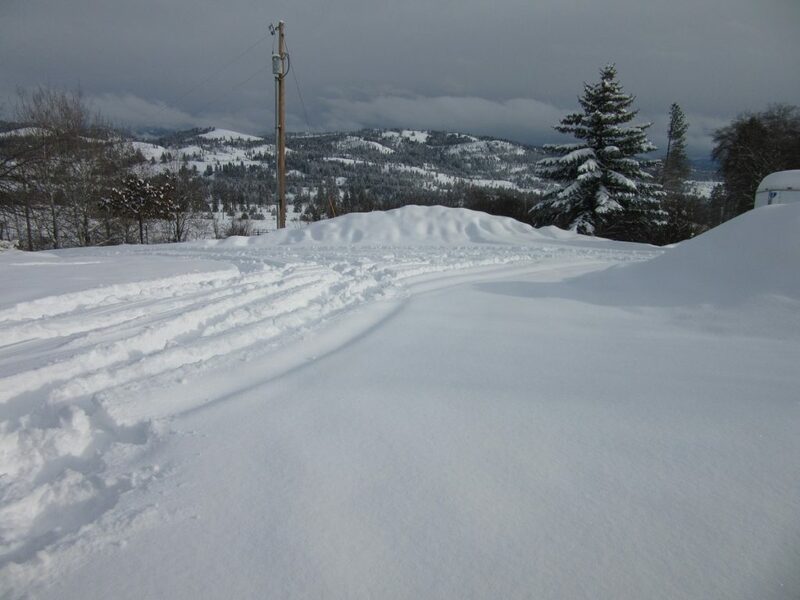 Yes, Ferry County can be a challenge in the winter. While winter is my favorite time I’m happy to see signs of winter receding. It’s been more of a struggle this year than most. Love it here! I’ve enjoyed winter all my life and it is so beautiful here.You have to adapt to winters demands as winter will not adapt to suit us mortals! 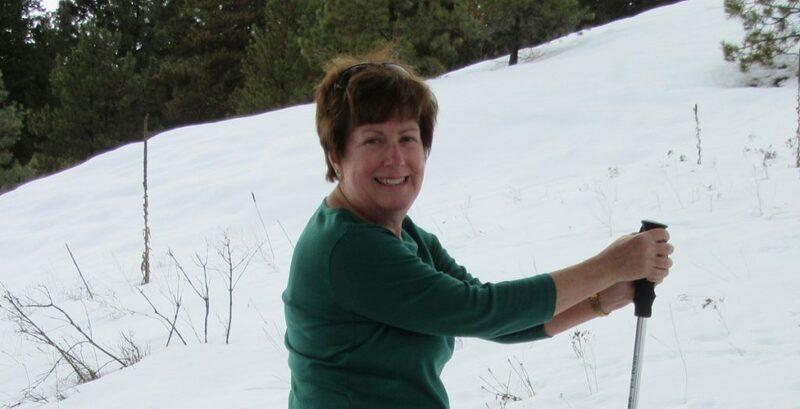 But by the end of February I am digging through the snow looking for any perennials that are poking their heads up! 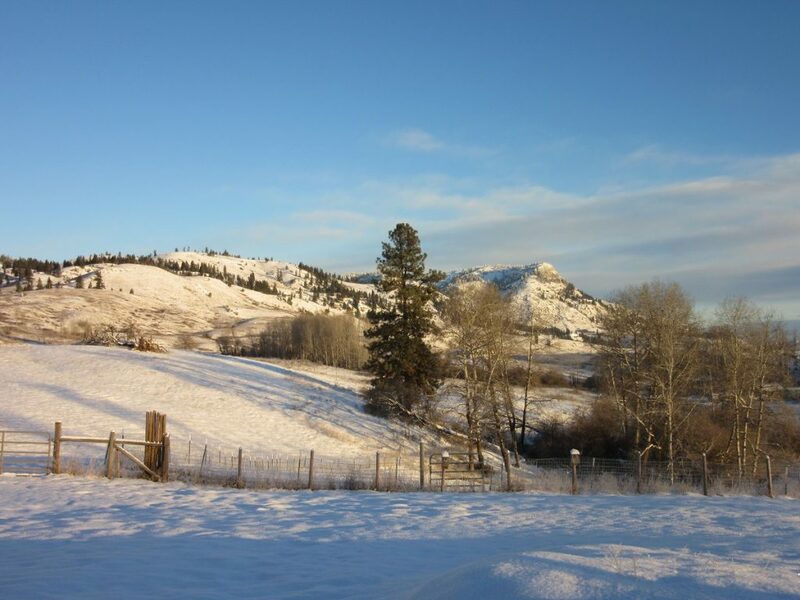 We are blessed with beautiful scenery no matter what the season. Hi Karen, I read this last nigh after you sending the notice. Had to reread it to John to remind him why I didn’t want to move east. I glad you are embracing how bad it gets there. 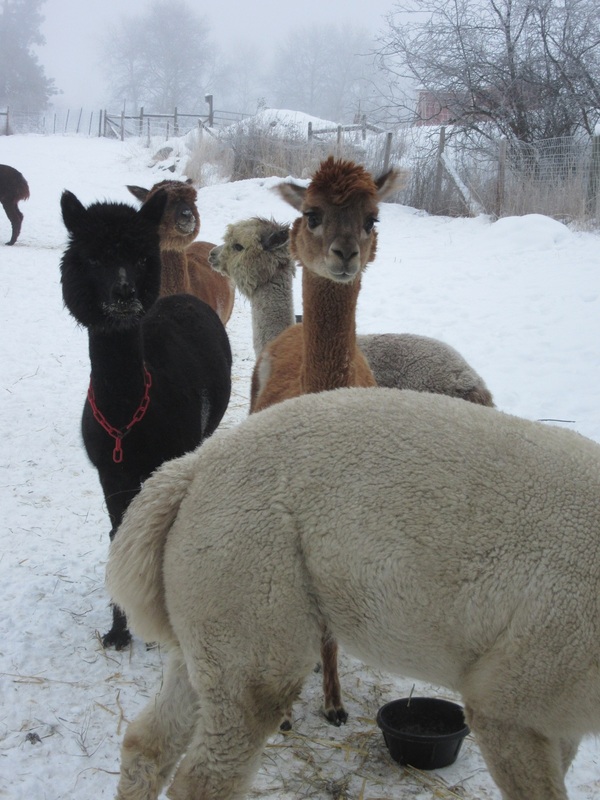 The alpacas all look good. Glad this blog brought back happy memories for you! Who knows, maybe some day you will come for a visit?